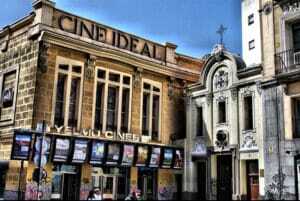 Cine Ideal: Madrid’s Top Original Version Movie Theatre! Just because you’re living in Spain doesn’t mean you have to suffer through the phenomenon that is Spanish dubbing. Ok, I know that you want to integrate into the culture and practice your Spanish and all that, but you’d be better off just watching a Spanish film or series. Trust me, even the majority of younger Spaniards prefer to avoid movies that have been dubbed! If you’re used to watching your films in English then the Spanish voice overs on television and in the movie theatre can be quite jarring. Luckily, you don’t have to worry about that! 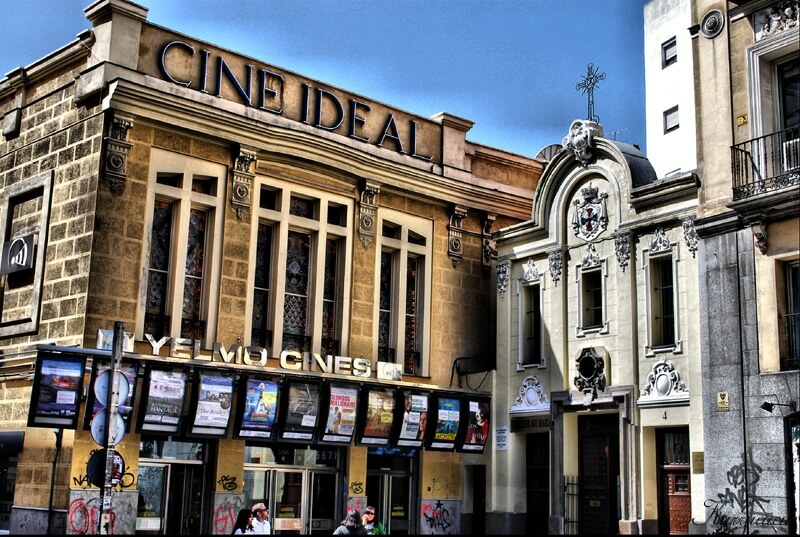 Yelmo Cines Ideal, is an Original Version (V.O) theatre in the centre of Madrid that features mainly English speaking films without the typical Spanish dubbing. 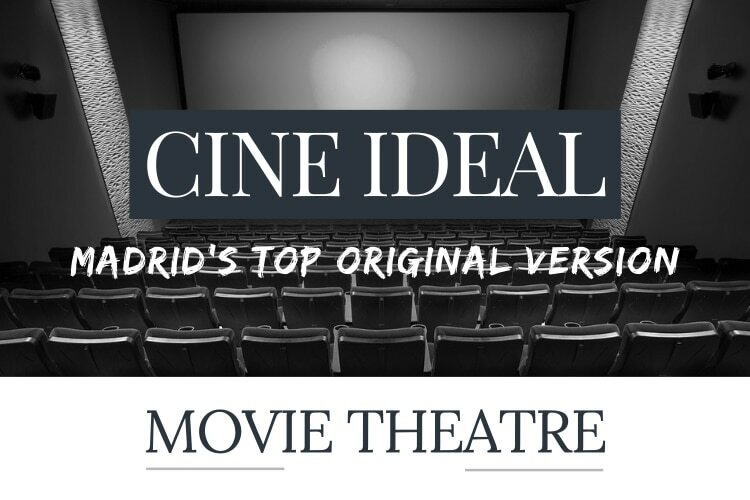 Most of the movies screened at Cine Ideal are accompanied with Spanish subtitles (V.O.S.E), but the audio is always english unless otherwise stated. It’s not the biggest theatre in the city but they always ensure to release the biggest films coming out of Hollywood and various film festivals throughout the year! They host matinee and late movie screenings and even have a special “Movie Wednesday” promotion where all movie tickets are sold at a reduced price! The theatre itself is one of the oldest in the capital and is located inside an old convent, which can still be seen by the beautiful old stained glass windows that decorate the front of the building. In 2017 the theatre went through a major renovation, updating it’s athletics and features to keep up with the it’s more modern rivals outside the city centre. You’ll find it just outside of Puerta del Sol in Plaza de Jacinto Benavente on Calle del Doctor Cortezo! 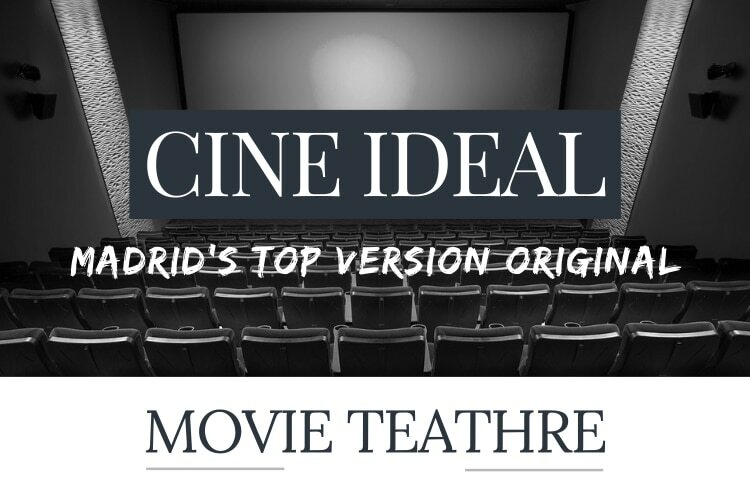 Want to learn more about the cinema system in Madrid? That’s great! Take a look at our run down of everything you need to know about Madrid’s Film Scene and take a look at another one of Madrid’s oldest theatres, the Cine Doré!